It has been said that the steel thread through any organization is its identity management system. Securely connecting users to the IT resources those users need is not only critical to the organization’s productivity, but also keeping the organization secure. Identities are essentially the keys to the digital kingdom. A compromised identity can be disastrous for an organization. The challenge for IT admins is how to build an identity access and governance process, and a system to not only ensure that users have access to what they need, but also to maintain a high level of security. Modern workers are often spread out across the world and are leveraging more IT technology than ever before. Many of the tools and resources they use to fulfill their job requirements are software applications hosted in the cloud. With a global workforce and IT resources in the cloud, the challenge for IT admins becomes how to provide access to each individual and more importantly, how to do it securely. Many of these cloud infrastructure platforms and web applications have their own user management systems. For those that do and offer integration via LDAP or SAML, a core Identity-as-a-Service platform will be able to centrally authenticate users. For IT admins this is a key point as it allows them to provision and deprovision user access simply. As cloud infrastructure such as AWS comes into play, the challenge for central user management increases. Directory-as-a-Service® platforms that manage user access on systems will be required to integrate that capability into an identity access and governance process. Another important aspect of identity management in today’s modern IT era is security. Currently, identities are being compromised at an unprecedented rate. The challenge for IT admins now is to build systems and education programs that will help keep a user’s credentials secure. From a systems perspective, adding password complexity capabilities is imperative since easy passwords can be compromised quickly. Long, complex passwords are far more difficult to crack but are also less user friendly. Education is also a big part of the identity security problem as users are generally unfamiliar with security in general. For example, users should be encouraged not to reuse their personal passwords for their corporate IT resources. Password vaults are also an excellent option to help create complex passwords for sites that cannot be integrated through the organization’s single sign-on system. Identity security starts with the IT admin, but it is their role to encourage the end user to put the protocols into practice every day. 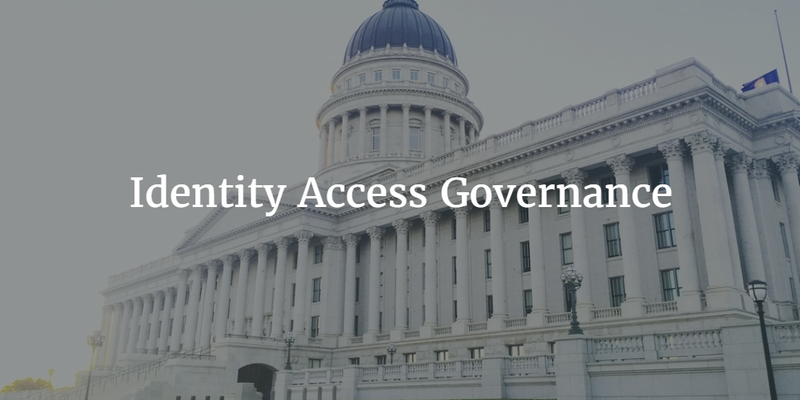 Identity and access governance systems are helpful in providing the appropriate user access and encouraging strong security. If you would like to learn more about how Directory-as-a-Service platforms are supporting an organization’s cloud-based identity systems, drop us a note. We’d be happy to talk to you about it. Or, feel free to try JumpCloud’s Directory-as-a-Service for yourself. Your first 10 users are free forever.